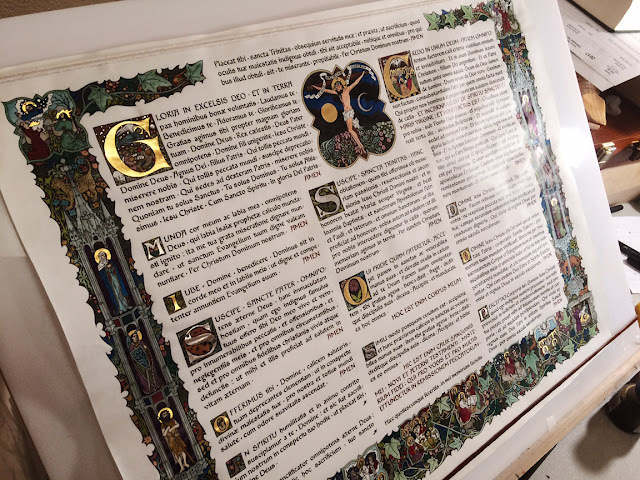 Liturgical Arts Journal is pleased to bring our readers an initial sneak preview of an exquisite set hand illuminated altar cards, designed and executed by Daniel Mitsui. 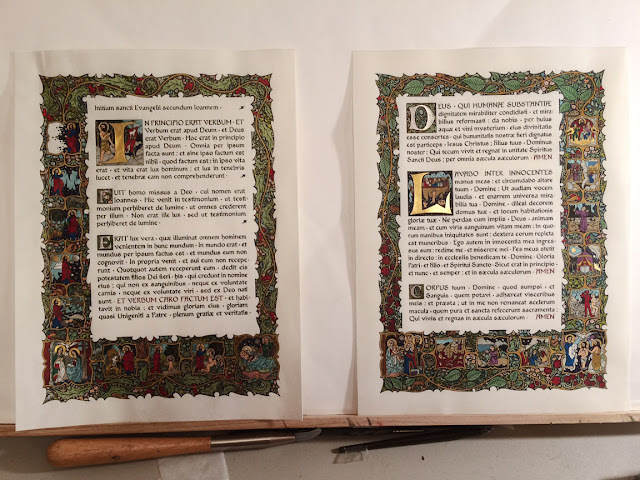 Daniel, a Chicago based artist, is already known to many LAJ readers, well known for his highly detailed illuminations. 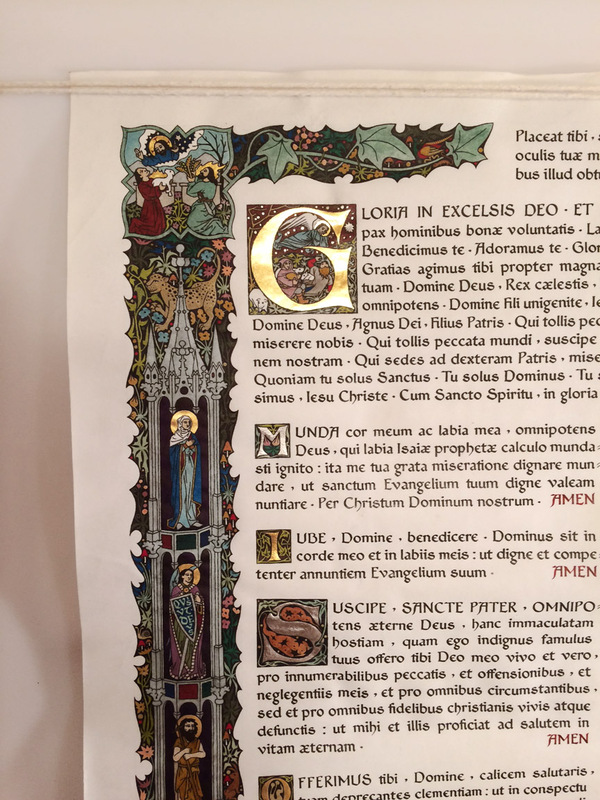 Daniel was also recently introduced as one of the team of writers here at Liturgical Arts Journal. As such, readers can look forward to a more detailed exposition from Daniel on these altar cards in the very near future. For the moment, however, I wished to give our readers a quick glance at them. 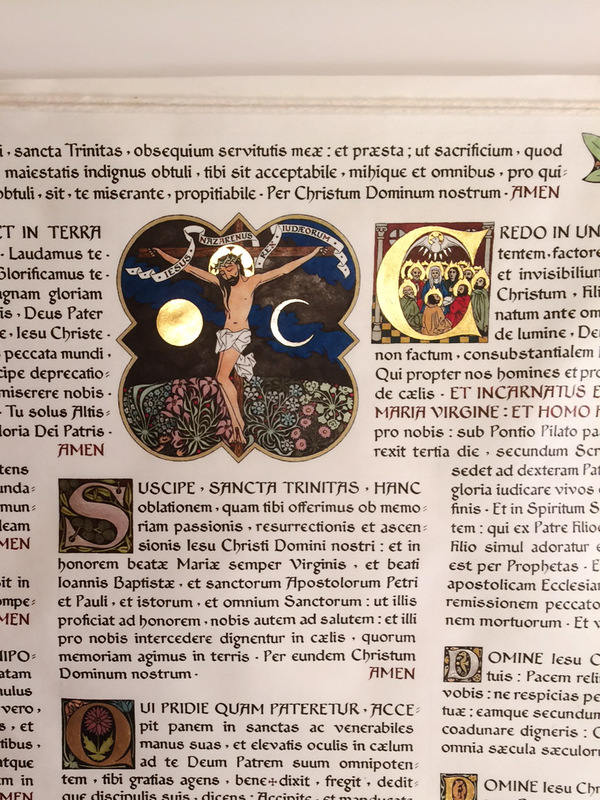 The central altar card with its traditional crucifixion scene. 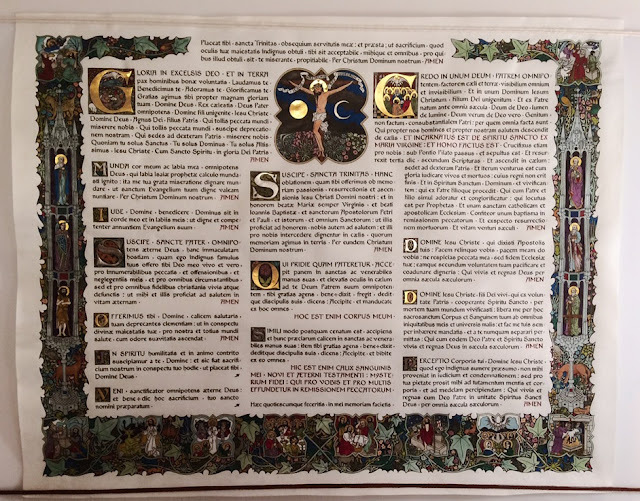 Illuminated capitals identify the various prayers utilized by the priest in using the altar card. The Last Gospel and Lavabo altar cards. These details show just how neat and legible the script is. An important consideration. Take note of the Pentecost details in the illuminated capital of the Credo. Absolutely breathtaking work. I'm certain we will all look forward to Daniel's own detailed exposition of this particular work.